World of Warcraft patch 6.2.2 has been announced for September 1 after weeks of player anticipation. 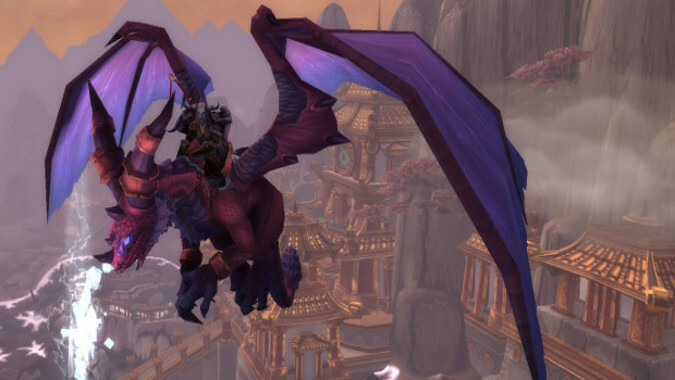 Patch 6.2.2 brings flight to Warlords of Draenor and also introduces Mercenary Mode among other changes and additions. Blizzard announcing patch dates in advance is a rarity, but may be due to the company’s overall release schedule this month: Heroes of the Storm‘s patch released this week and Diablo 3‘s patch is likely to release next week. You’ll find the full patch notes for patch 6.2.2 (which are still written as if for the PTR) below. Please note there may still be areas or pockets on Draenor where flying has not yet been fully implemented. These areas will be tracked and listed in a forum thread titled “Flight in Draenor – Reported Bugs Thread” on the PTR Discussion forum. Players now receive a Timewarped Badge when they complete a Timewalking dungeon. These badges can be redeemed at new vendors that appear during a Timewalking bonus event. The new vendors sell new toys, new mounts, in addition to gear that scales up to the character’s level at the time of purchase. Fixed an issue with Wild Gladiator’s Insignia of Dominance’s tooltip. Blackout Kick now deals 10% more damage for Windwalker Monks. Rising Sun Kick now deals 10% more damage for Windwalker Monks. Tiger Palm now deals 20% more damage for Windwalker Monks.